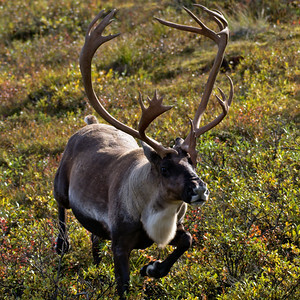 Photos from Denali National Park - 6 million acres of some of the most beautiful landscapes and incredible wildlife. 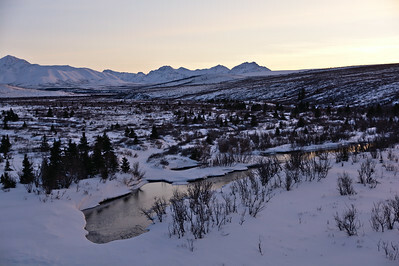 Open water on the Savage River in Denali National Park. 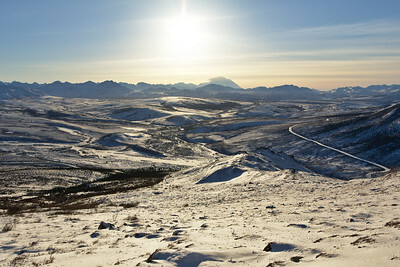 Double Mountain in the background. 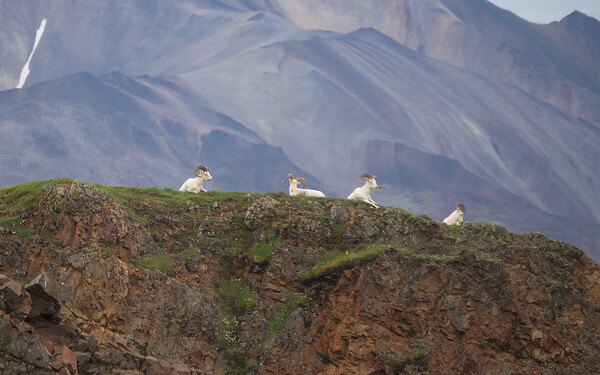 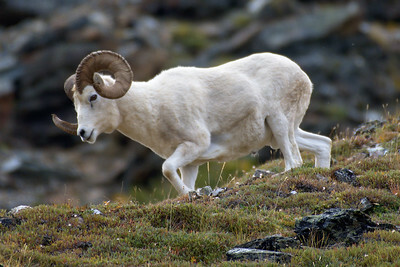 Dall Sheep near Polychrome Pass in Denali National Park. 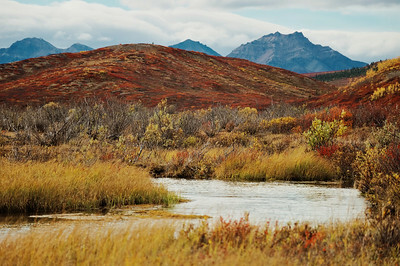 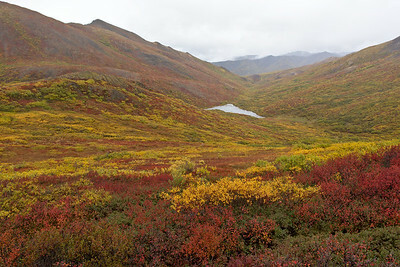 Fall colors on the tundra landscape north of the Polychrome Overlook in Denali National Park. 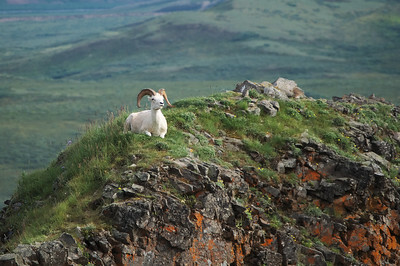 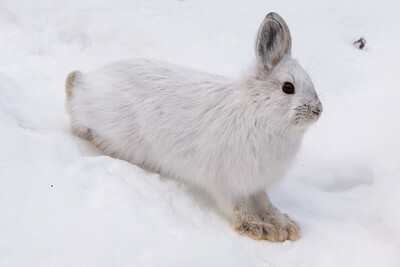 This is what I love about Denali National Park. 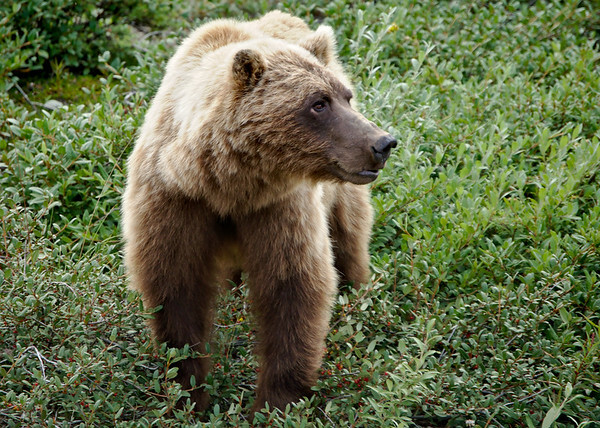 It is roughly the size of the state of Vermont. 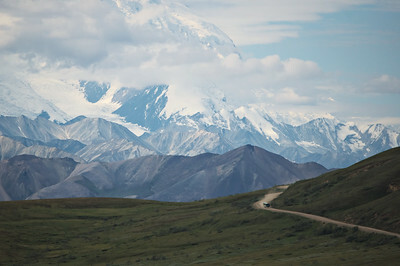 That's the only road. 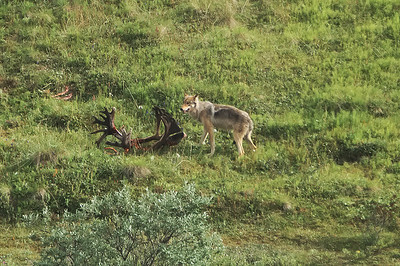 Wolves on a Caribou kill in Denali National Park. 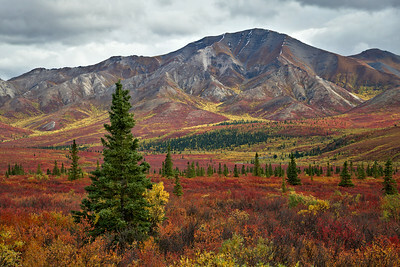 This has to be one of the most spectacular sights I've ever seen. 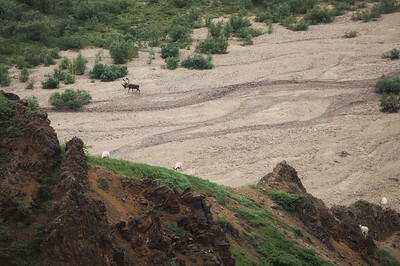 Dall sheep hiking up the hill and a collared caribou down in the riverbed in Denali National Park.